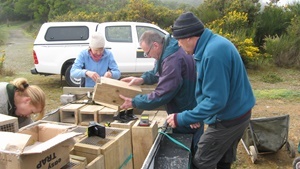 On 4 September 2016 the Department of Conservation in Picton organised a Trapping Workshop for the top of the South Island. We were honoured to co-host the event, which was attended by over 100 people keen to bring native wildlife back to their region. Special thanks to the Picton Village Bakkerij and Picton Fresh Choice Supermarket who kindly donated the delicious morning and afternoon teas. You can find copies of the all the interesting presentations below. ​​Click here to open "Looking outside the square" by Key Note Speaker Alastair Bramley. 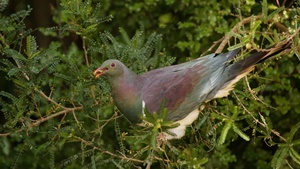 Click here to open "First Steps - overcoming the challenges" by James Wilson, Picton Dawn Chorus. 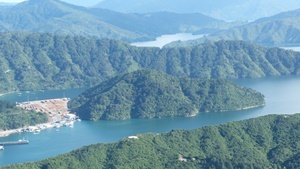 Click here to open "Volunteer Systems - lessons learnt from Kaipupu Point" by Trudy Nicholas. Click here to open "Monitoring - what to measure to prove success" by Peter Gaze, ecologist Project Janzoon. 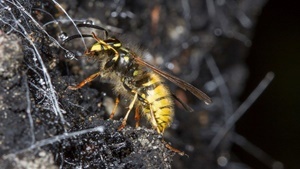 ​Click here to open "Wasp Control - how to use Vespex" by Richard Toft, Merchento.